Apostolic Revelation: Who is 'the rose of Sharon, and the lily of the valleys'? 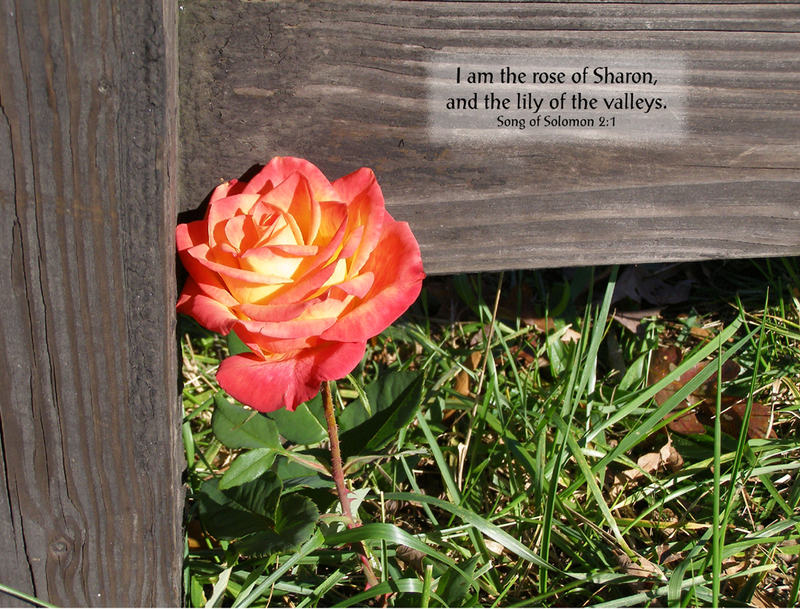 Who is 'the rose of Sharon, and the lily of the valleys'? "I am a rose of Sharon, a lily of the valleys." (Sos 2:1). This preceding verse was written by one of the most romantic king in the Bible who was a greatest intellect, poet, philosopher and one of the wisest man to live in this planet earth. 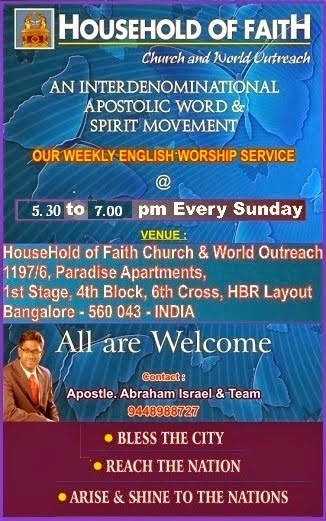 Because King Solomon was blessed by God, he attained all of the above descibed greatness in this world (1 Kings 3:3-15). Song of Solomon is the only book that directly speaks about the beauty of marital love and intimacy expressing the beauty of man and woman in a excusively romantic language. Some people who consider themselves as so spiritual in their own eyes do not even touch this book, thinking that it will make their thinking dirty. But if this is the case why should God place this book in the centre of the Bible and make all those saints who read it to become impure in their thoughts? The Bible says, "13 Let no one say when he is tempted, “I am tempted by God”; for God cannot be tempted by evil, nor does He Himself tempt anyone. 14 But each one is tempted when he is drawn away by his own desires and enticed. 15 Then, when desire has conceived, it gives birth to sin; and sin, when it is full-grown, brings forth death. 16 Do not be deceived, my beloved brethren. 17 Every good gift and every perfect gift is from above, and comes down from the Father of lights, with whom there is no variation or shadow of turning." (James 1:13-17). Therefore this is a so called false spirituality. "The interpretation is twofold: Primarily, the book is the expression of pure marital love as ordained of God in creation, and the vindication of that love as against both asceticism and lust--the two profanations of the holiness of marriage. The secondary and larger interpretation is of Christ, the Son and His heavenly bride, the Church (2 Corinthians 11:1-4 refs). The saintliest men and women of the ages have found it a source of pure and exquisite delight. That the love of the divine Bridegroom should follow all the analogies of the marriage relation seems evil only to minds so ascetic that martial desire itself seems to them unholy." Here when we hear this beautiful verse, "I am a rose of Sharon, a lily of the valleys." (Sos 2:1), it speaks about the self description of the king Solomon's wedded bride girl saying to him how beautiful and fragrant she is, like a rose of Sharon and a lily of the valleys. It should also be the self desciption of the Church, of how beautiful she is in the GLORY OF THE LORD, and full of fragrance of Christ to God (Eph 5:27; 2 Cor 2:14-15). Because of much self condemnation and low self-esteem, we never think of ourself in this way and feel so bad to desribe ourself as "a rose of Sharon, [and] a lily of the valleys.". But we should learn to see ourself as the Lord sees us in Christ's beauty which was bestowed upon us in Christ Jesus (Eph 1:6; 1 Cor 11:7). God sees us and Christ as one and not two person betrothed to just fulfill a purpose (Gen 2:24; Col 2:10). When we feel like unworthy sinful slaves, it is because we have not yet started to enjoy the grace of Christ in our life. It is like a beggar girl who got married to a prince because of his love for her. Once they were married all that the prince had now belongs to this lovely princess, who is beautified with gold and costly fragrance. What if she still thinks that she is a beggar married to a prince? This is what is happening to many saints who are in Christ. The old poverty sin ridden thinking affects them so much that they begin to think themselves as a beggar married to a prince. This is infact an insult to the love of the prince who has married this princess. SAINTS, LEARN TO SAY, "I AM A ROSE OF SHARON AND A LILY OF THE VALLEYS IN MY SAVIOUR JESUS TO GOD MY FATHER IN HEAVEN". Learn to see yourself as God sees you. The sin-focussed mind completely destroys the atmosphere of love, romance and joy of the intimacy that should have been ours forever in Christ Jesus. All the riches that the prince have, has also become the property of the princess legally. The princess can no more be called a beggar girl by anybody. If somebody is found calling her with the old name, it is offensive to the prince and that person can even be put to death legally by the prince. But if the princes still has a old beggaristic friend who makes her to think as a beggar in her mind, nobody can legally sue the friend of the princess. This is what happens to the saints, the saints dabble with sin and give the demons and devils to touch the souls within them after which they hear the beggaristic demons and devils negative voice that is spoken in their soulish mind and begin to believe themselves as a beggar married to a prince. When the devil comes to tempt the saints, they should resist him by the blood of Jesus and the word of their testimony (Rev 12:11). The moment the devil is resisted, he will flee away. All our relationship with the old sin nature should be cut off and thrown away in Jesus name. 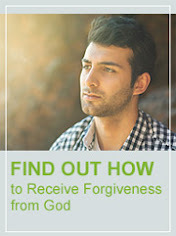 Anything that makes us to sin should be considered as a rebellion creator against God. When we live in this kind of attitude habitually, the evil one cannot make us sin-conscious, instead we will continue to live in God's righteousness-conscious abundant life (1 John 5:18). Praise the Lord! Sharon is a plain - it is one of the largest valley-plains in all of Palestine. Back at the time of Solomon, it was considered a wild, fertile plain that had a lot of beautiful flowers in it. Sharon was supposed to have been known for its beauty and majesty back in those days, especially with the roses which is usually considered to be the most perfect and beautiful of all flowers. So the Church should consider itself as the most perfect model of God's GLORY IN THIS EARTH representing His beauty. The Church of Jesus Christ should also consider itself as the largest fertile plain for God's perfection and character to be demonstrated on this earth through cultivation and growth. Now "lily of the valleys", what does it really mean? 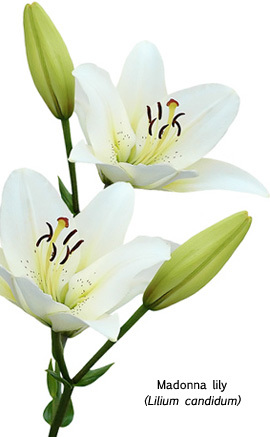 The Hebrew word 'shuwshan [or showshan]' means “a lily (from its whiteness), as a flower of arch. ornament; also a (straight) trumpet (from the tubular shape)” [Strong’s 7799]. The root word 'suws' means “to be bright, i.e. cheerful” [Strong’s 7797]. So the lily of the valley is the Church in its white robe of Christ's righteousness and is that joy that comes out of it as like when a victorious trumpet sounds after a battle time (1 Cor 14:8; 2 Cor 5:21; Rev 19:8, 14). Gorgeous lilies have been known and cultivated since olden times--thousands of years before Christ--on the island of Crete, in Egypt, in China, in the Middle and Far East. There are over 100 species of lilies, each colored with different nuances. When we read about the lily's symbolism, it conveys the idea of an attribute of spotless Beauty and extra fragrance than other flowers. The sweet scent of the lily is referred to in Ecclesiasticus ['Sirach' in one among the noncanonized Hebrew writings used in catholic Bibles as "a church reading book"] 39:14, and in 50:8 we read of "lilies by the rivers of water." The beauty of the blossom is implied in Hos 14:5 in which God compares this progressive beauty of the blossomming lily to the rising of the nation of Israel during the end time. The Church which is the spiritually "true Israel of God" (Rom 2:28-29; Gal 6:16), has now become the progressive blossomming and fragrant beauty of the GLORY and FRAGRANCE OF GOD like the lily flower (Isaiah 60:1-2). In the New Testament Jesus refers 'lilies' as the effortless glory of saints in purity, serenity, faith and simplicity (Matt 6:28-30; Luke 12:27-28). A Prayer for you : Lord Jesus, I thank you for helping me understand more about the "rose of Sharon" and "lily of the valleys", which is no other person but me whom you have made me to be in the sight of God the Father. Help me to live a righteousness conscious life in all my life and not be Sin-focussed in my mind. Help me to keep myself in you and resist the devil in such a way that the evil one will not be able to touch me. Dear Lord, help me to be intimate, joyful and be in love with you always. May my life be a sweet fragrance to God my Father in heaven and bring great GLORY TO HIM and HIM ALONE! In Your sweet name I pray, Amen and Amen!!! Praise the Lord!